2019 marks the 20th year of the Six Nations Championship and round two took place this weekend. Ireland could still retain their title, although England versus Wales in two weeks' time looks set to be a crunch match. Ireland, and wooden spoon recipient Italy, were top and bottom of the leaderboard in terms of annual house price growth at this point last year. Based on current rates of annual price growth, Ireland will reclaim the title, with Wales finishing second. Italy unfortunately will retain the wooden spoon. 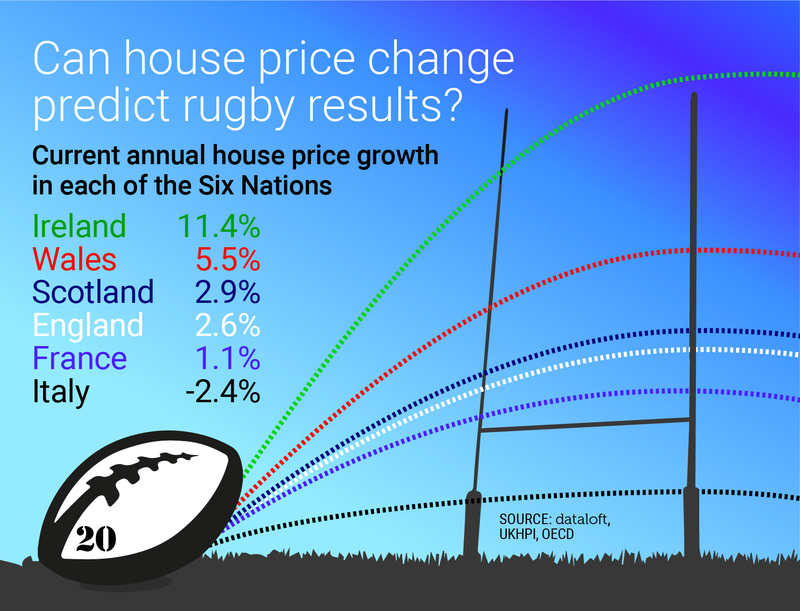 House prices can’t predict rugby, or can they? !